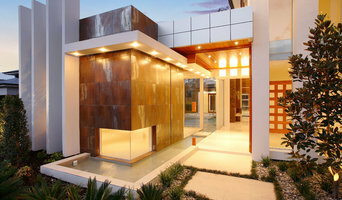 DM2 Architecture is an award winning Brisbane based architectural practice delivering design and documentation services to clients throughout Queensland. Originally established in 1982 as Dimitriou Architects, the DM2 Architecture name was launched in 2007. The business has built solid reputation and many of our clients have worked with the team for over a decade. We operate across a diverse range of sectors including: education, retail, hospitality, commercial, multi-residential and leisure. DM2 Architecture is owned by Director, Brad Muller. From the smallest tenancy fitout to multimillion dollar projects, every DM2 Architecture brief is examined, discussed and debated to ensure that choices are intentional and meaningful. Our team creates a thorough understanding of functionality, lifecycle, environment and the final occupants of a building. This understanding forms the basis of creative architectural solutions that are specific to place and purpose and deliver tangible benefits. The DM2 team will work with you in order to understand your desired outcomes and are first and foremost a relationships business. 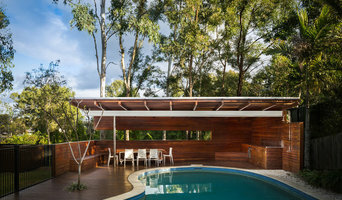 Established in 2004, Jemmott Associates is a Brisbane based architectural practice specialising in private residences and alterations and additions to existing residences. We offer a holistic design approach that balances personal and community needs and expectations, with the social, economic and ecological influences while providing a design that meets the functional requirements and provides a meaningful addition to the cultural context. Our architecture is modern in its approach but has a respect for the local character and draws upon the wealth culture and symbolism to create meaningful architecture. The result is an architecture that strives for a celebration of materials, space, and light that have the ability to positively affect the human spirit. IRP Architects invites you to consider our architecture consultancy services for your next home, residential or commercial development. We have extensive experience in the design and documentation of a wide range of projects. Our experience includes bespoke new residences and renovations throughout the Brisbane area, including suburbs such as Ascot, Ashgrove, Auchenflower, Bardon, Bulimba, Clayfield, The Gap, Toowong and Upper Kedron. Further afield includes architectural projects in Redcliffe, Hervey Bay & Mackay. Originally established in 1999, IRP Architects is a progressive Brisbane based firm, keen to advance the design of our physical and perceptual environments through our built forms. Our staff knowledge is complemented by a genuine interest and passion for spatial volumes, elements of architecture and design planning principles within the built environment. We pride ourselves on our personal and responsive service. Our ability to perform is evidenced by the success of our continuing consultancies and repeat client projects. Infuse Design is led by Shaun Miller, AIA, RAIA, who has 15 years national and international experience, including seven years at award-winning architects TERROIR. Shaun is a family man with five children therefore understands the pragmatics and pressures of everyday life. 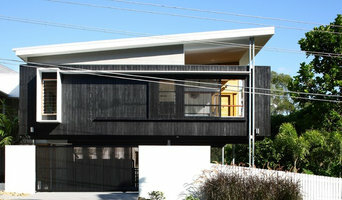 This is reflected in his work by sensible, practical and efficient design solutions. 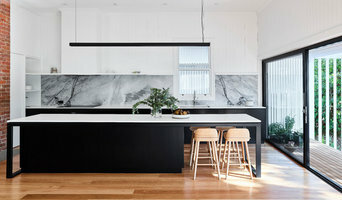 John Stubbs founded 77 Architecture in 2013 after working for top practices in Brisbane and the Gold Coast. He draws upon a wealth of experience from over 14 years working in practice as an architect, manager and business owner and values the strong relationships formed with our clients. We are a practice that focuses on delivering exceptional design solutions, personal service and clear communication. 77 Architecture loves working with people, just like you, to create beautifully designed places to work, live and play.